The industry of public relations is rapidly evolving, requiring practitioners to have greater specialization than ever before. Hand in hand with the growth of the industry, educational programs have developed to address the growing need for quality preparation for future practitioners. Public Relations: Competencies and Practice focuses on the required competencies expected and applications of public relations into specific sectors of practice. Based on competencies identified by organizations such as the Commission on Public Relations Education and the Public Relations Society of America, Public Relations provides a robust examination of areas such as diversity, leadership, and ethics. The second part of the text focuses on these unique requirements for undergraduate and graduate students focused on entering sectors such as entertainment public relations, nonprofit public relations, or investor relations. 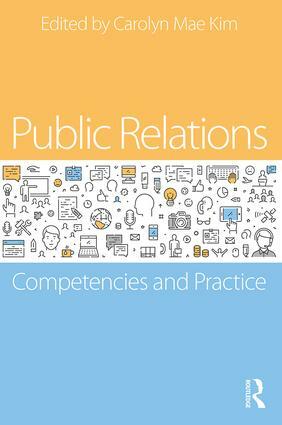 Public Relations offers students competency- and practice-focused content from top PR experts and incorporates interviews from professionals in the field to show students how to apply competencies in specific practice sectors.